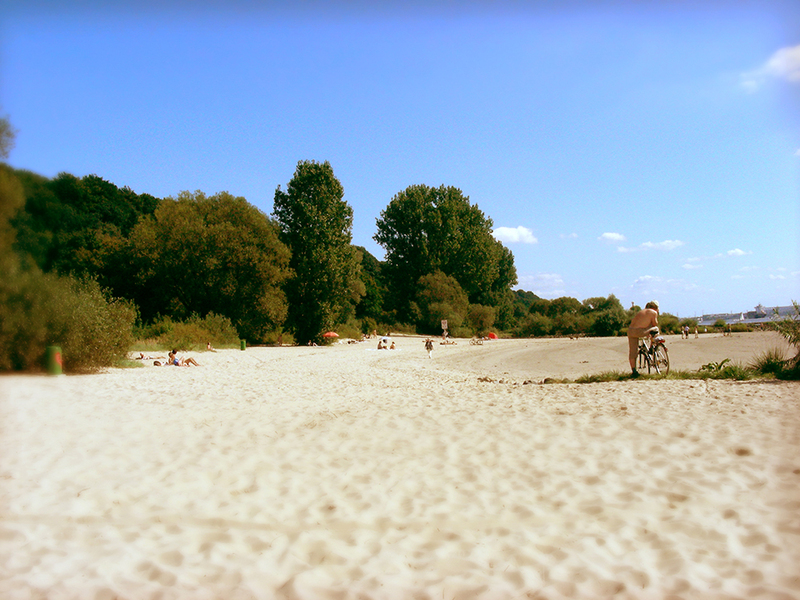 The ElbeCamp is located at the charming Falkenstein Riverside: To the north, a wooded slope rises almost 100m over the Elbe, to the south is Hamburg’s last natural beach. The port and the Airbus plant can be seen in the distance, but are too far away so that their noise does not disturb the peace in the ElbeCamp. Whoever comes from the big city to the ElbeCamp, is welcomed by rustling trees and chirping birds. Take a deep breath! Situated directly on the river Elbe, our campsite is a popular meeting point for water sports enthusiasts. 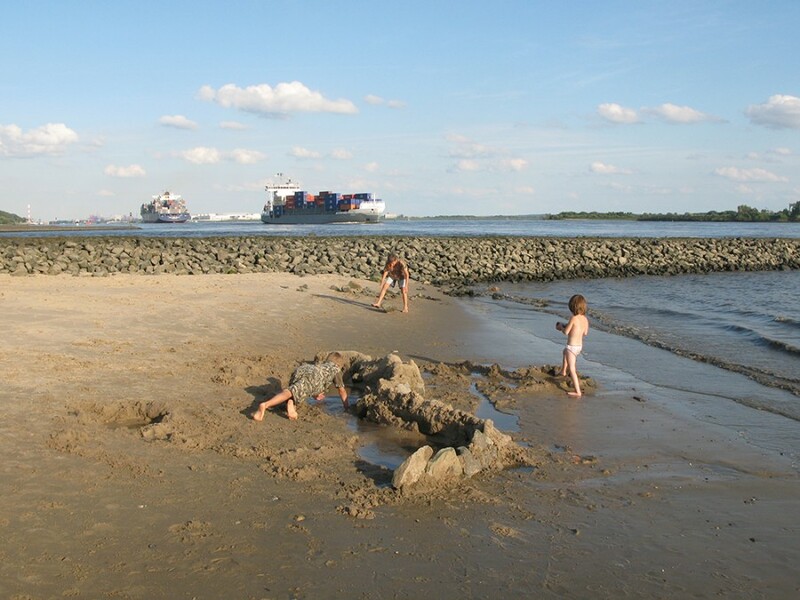 Swimming in the Elbe is not forbidden by law, but the State Ministry of Urban Development and Environment of Hamburg (Behörde für Stadtentwicklung und Umwelt) warns: The river Elbe is not for swimming and bathing! Even practiced swimmers cannot compete against the suction and waves of the large container ships as well as the tidal currents of the North Sea! The water level of the Elbe is calculated by the Federal Maritime and Hydrographic Agency (Bundesamt für Seeschifffahrt und Hydrographie). Just select Schulau from the list of tide gauge locations on the page of the BSH.